Brief Synopsis – A termination specialist who travels all over the country has his life turned upside down when he meets a woman similar to him and at the same time his office decided to ground him. 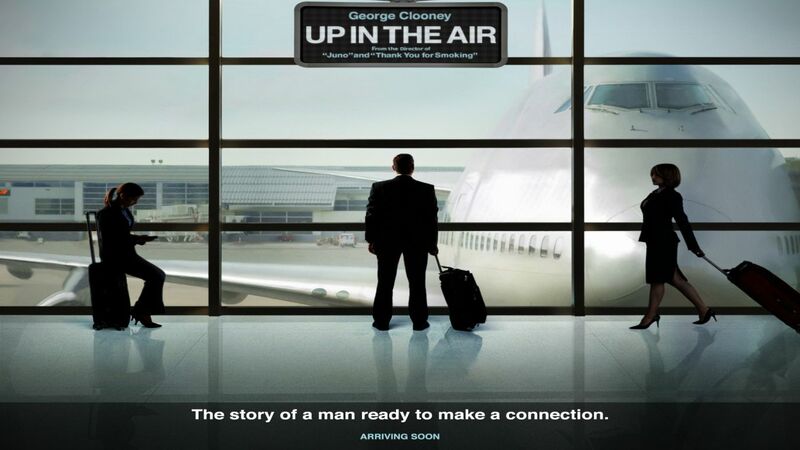 My Take on it – I think George Clooney was born to play this role. Based on what we all know about Clooney, he and his character have so much in common. The are both confirmed bachelors, they both travel a lot and they both don’t seem to have long meaningful relationships. The storyline, although based on a book written almost a decade before this movie came out deals with a very timely theme; unemployment and downsizing. In 2009, that was something that was very prevalent and the Director Jason Reitman actually utilized that fact to his advantage. This movie is filled with reactions from fired employees of generic companies and in order to catch the realism of it, they filmed many non-actors who recently were fired portraying the recently fired individuals. This adds an amount of realism that is hard to find from someone who had never been in that situation. Not all of the fired employees are non-actors and this movie gets some great cameos from the likes of JK Simmons and Zack Galifianakis which are both humorous and poignant at the same time as people Clooney needs to fire.. The rest of the cast are also great here. Vera Farmiga and Anna Kendrick were both nominated for Best Supporting Actress Oscars for their roles. This movie is ultimately about realizing loneliness and finding a way to overcome it and no matter how much you try to sugarcoat it, if it’s there, one needs to realize it and get rid of their denial. It was nominated for Best Picture and although it wasn’t the best of the year it is very high up there. Bottom Line – Great movie. Perfectly cast. Shows how people try to hide their loneliness until it just bursts out. Highly Recommended! One of my favourites from 09! Excellent film, cast, score, story, and all :). Terrific post, Rob! yep, it really was good. Thanks T9M! its perfect for people like ryan who dont care about people. glad to hear your aren’t like that. Ive always loved the quote – Find a job you love and you’ll never work a day in your life.